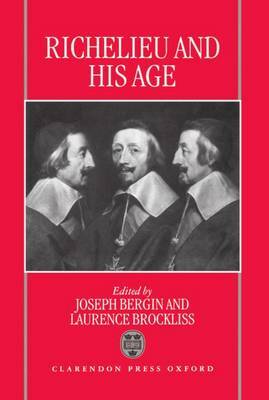 This study of Cardinal Richelieu's career as chief minister to Louis XIII of France presents the original research of eight experts in the field. Linking their work is the belief that Richelieu's ministry was a significant moment in the history of early modern France. The authors reject the traditional picture of Richelieu as the single-handed creator of the French absolute state and the original exponent of Realpolitik. Instead they paint a collective portrait of a statesman politically astute but none the less devout. The Richelieu who emerges is in many respects a conservative figure, but one driven by a genuine desire to establish a more just and peaceful society (both in France and in Europe). The emphasis here then is on Richelieu the Cardinal, not Richelieu the secular statesman. The tragedy and irony of his ministry, as the authors also show, was that in order to maintain himself in power, Richelieu had to behave more like a Renaissance prince than a Counter-Reformation prelate.